Amazon's Fire Phone is dead, so the company has decided to go back to what it does… well, okay at. That's making tablets, and Amazon's new one is set to be super cheap. It's set to compete in the area currently owned by the Tesco Hudl 2, offering some impressive spec under the £100 mark. 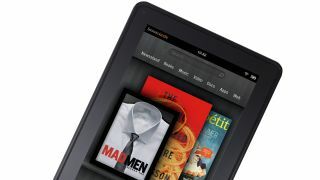 The latest rumours suggest the new tablet will be cheaper than a normal Kindle at $50 (about £32, AU$70) and given that price it's got quite an impressive spec. A GeekBench 3 listing shows it with a 6.7-inch 1024 x 600 display, a quad-core MediaTek processor and 1GB of RAM. There's also a 2MP camera on the back and a 0.3MP front one as well. There's no word on 802.11n Wi-Fi or Bluetooth 4.0. On top of that there will be 8GB of internal storage – a let-down for a tablet, and there's no microSD card slot, so don't expect to have much space after Amazon's software is loaded on. Then again, you get what you pay for, so we can't be too disappointed if the tablet really is that cheap.